Captain America: The Winter Soldier topped the US box office taking $96 million in its opening weekend. 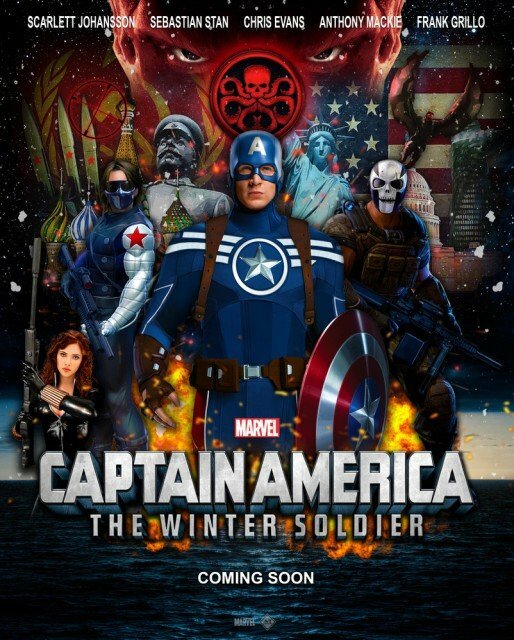 Captain America sequel also claimed a new US record for an April release. The sequel to the 2011 original film about the Marvel superhero, starring Chris Evans, toppled biblical epic Noah, which stars Russell Crowe. Its takings exceeded the record set in 2011 by the racing movie Fast Five, which collected $86.2 million in ticket sales. The top three was rounded off by dystopian action thriller Divergent. Divergent, starring Shailene Woodley and Kate Winslet has earned a total of $114 million since its release in the US on March 21. Noah‘s $17 million over the weekend, add to its current US tally of $72 million. But internationally the film – a big budget CGI-packed take on the story of Noah and the ark – has continued to be a controversial subject, with Malaysia and Indonesia reportedly the latest countries to ban the film. The UAE, Qatar and Bahrain are among Middle Eastern countries which have also banned Noah as it breaks Islam’s taboo of depicting a prophet. Another film which tackles religious subject matter, the critically panned God’s Not Dead, has continued its strong form, taking $7.7 million and rising to number four in the chart from last week’s fifth spot. Wes Anderson’s Grand Budapest Hotel, starring Ralph Fiennes, F Murray Abraham and Jude Law rounded out the top five with $6.3 million. Originally released on March 7 to just four cinemas, Grand Budapest Hotel has now spread to 1,263 screens.